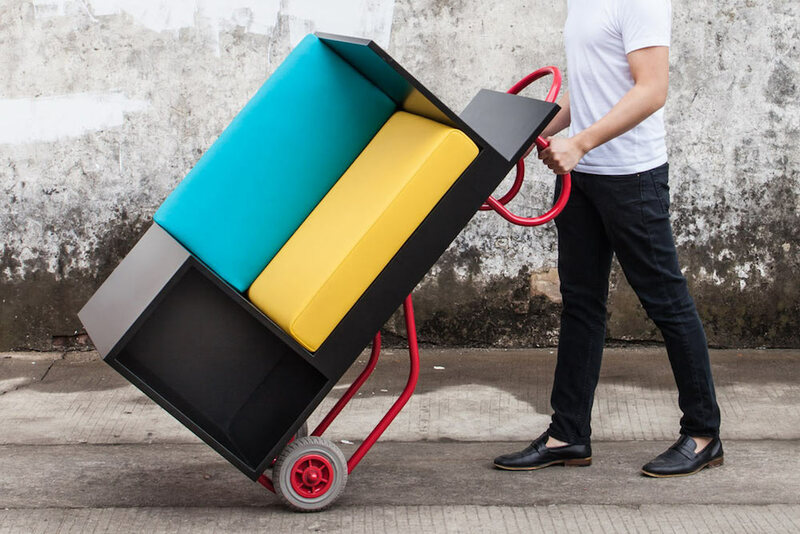 Students at Cornell University have the chance to try out a new collection of furniture with pieces that have push carts attached to their backs. Push carts were installed on 12 furniture items intended to serve multiple purposes. A bookshelf turns into a coffee table, even leaving the books in place. A couch can turn into a coat rack or a nook for one person to sit down to study. 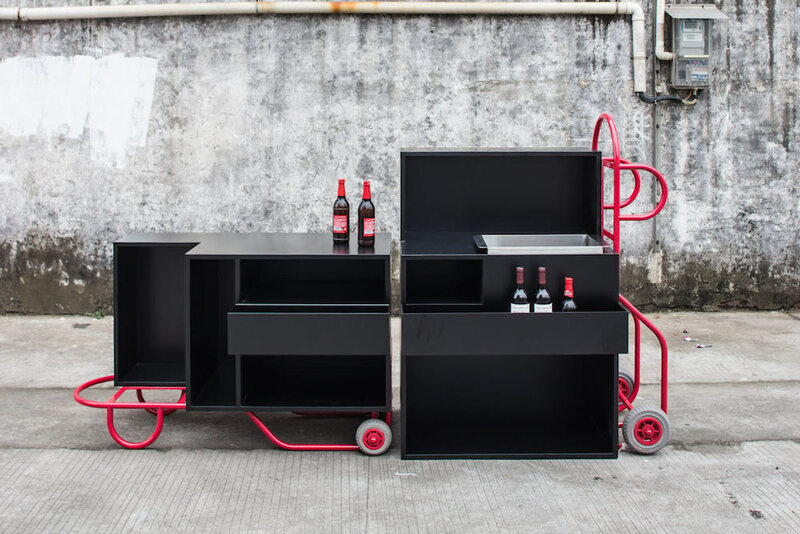 They can also be combined to become larger surfaces, such as turning two bookshelves into a bartender’s station for parties. The collection was created by William Lim, founder of CL3, and Vincent Lim and Elaine Lu, founders of Lim+Lu. All three are alumni of Cornell’s College of Architecture, Arts, and Planning.